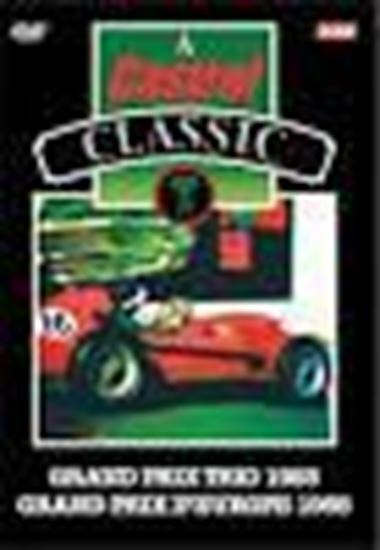 Grand Prix Trio 1955 gives a memorable review of the Monaco, Dutch and British Grands Prix. The stars are Moss and Fangio performing under the watchful eye of the legendary Mercedes team manager Alfred Neubaur. Grand Prix d’Europe 1958 was the fastest and shortest GP of the 1958 season. Hawthorn sets a new lap record of 132.36 mph for the 8.75 mile Spa Francorchamps circuit. The race also marks the first Grand Prix win for Tony Brooks.